The market town of Shifnal situated in the east of Shropshire is blessed with a network of fine footpaths, bridleways and quiet lanes. Too few people are aware of the wonderful diversity of its surrounding countryside and the public rights of way that are available for all to explore and enjoy. This website is dedicated to promoting just that. 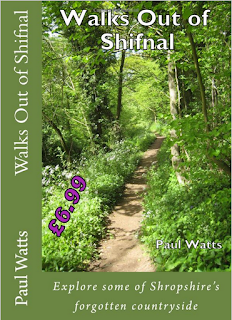 All of the walks have been sourced, walked, written up and mapped out by Paul Watts a local lover of the countryside and a keen walker for over 4 decades. They have then been extensively tested by an enthusiastic band of volunteers who - over several months - have given up their time to test, make suggestions and amendments in order to ensure that they are easy to follow with lots of interest included too. There's a range of walks to suit everyone from short 3 mile walks through lovely countryside suitable for all the family up to longer 15 milers for the more energetic.